The Steelers came off their bye week and proceeded to dismantle the Browns in the second half of the game. Cleveland: B. Mayfield: 22/36, 180 YDS, 2 TD, 1 INT; N. Chubb: 65 YDS​; J. Landry: 8 REC, 39 YDS. Pittsburgh: B. Roethlisberger 24/36, 257 YDS, 2 TD, 1 INT​; J. Conner: 146 YDS, 2 TD; A. Brown: 74 YDS, 2 TD. 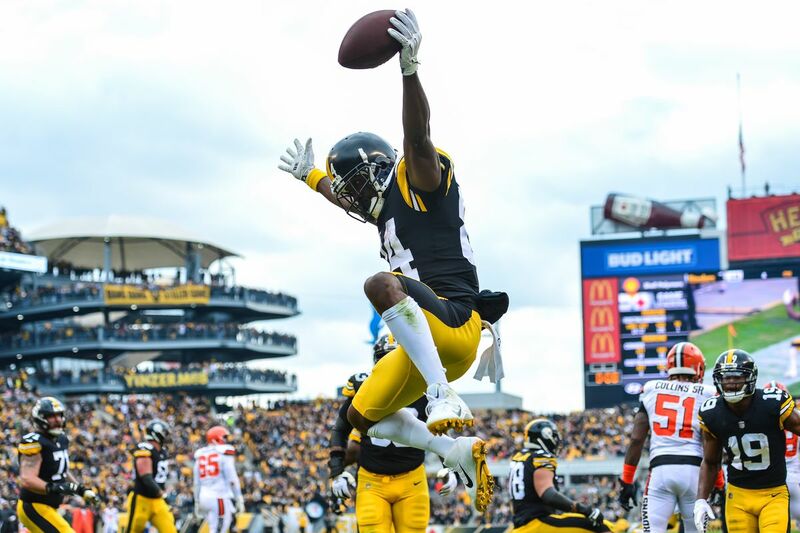 ​The Pittsburgh Steelers could not have wished for a better opponent to face after their bye week and on an emotional day for the city, they picked up an important win. 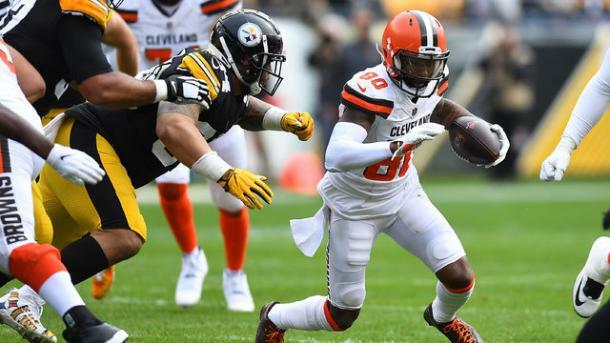 They welcomed a faltering Cleveland Browns side and after a slow start in the first half, proceeded to blow past the Browns and not only win another divisional game but also move to the top of the AFC North. The Steelers did not have a good start to the game and were forced to punt twice in the first quarter of the match. Not only did they not get to the red zone on two tries, Ben Roethlisberger was also intercepted by Derrick Kindred with about five minutes left in the first quarter as he tried to find Juju Smith-Schuster on a short route. Fortunately for Roethlisberger, the Pittsburgh defense came to play as well. They also forced the Browns to punt in the first quarter and kept the game close in the second quarter as well. The Steelers offense came to life in the second quarter though as Roethlisberger connected with Antonio Brown for a 43 yard touchdown reception. The Steelers defense then added to that positive play with an interception of their own as Joe Haden picked off Baker Mayfield's intended pass to Damion Ratley. Roethlisberger added another touchdown in the final seconds of the half as he found Antonio Brown on a quick slant pass for a one yard touchdown reception. In the second half, the Browns defense tried to give their team a chance and they forced a turnover in the third quarter. First, Denzel Ward forced a fumble off of Stevan Ridley and then the Browns kept the Steelers to a punt on their first offensive drive of the quarter. Unfortunately for the Browns defense, their offense was not as productive. The Browns offense allowed the Steelers to get a safety when offensive lineman Desmond Harrison was called for offensive holding in the end zone. 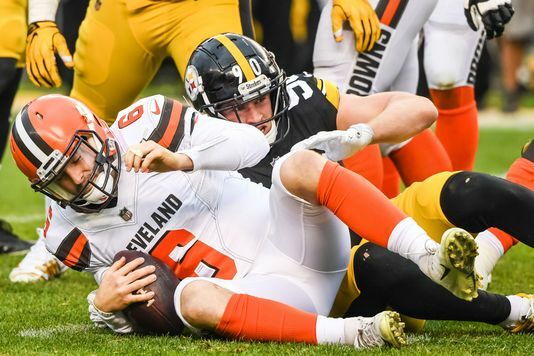 The Browns did manage to get a touchdown as Mayfield drove down the field before finding Antonio Callaway on a one yard touchdown pass but the momentum had shifted in Pittsburgh's favour. James Conner added to Pittsburgh's lead with a 12 yard touchdown run and a 22 yard touchdown run to ice the game. The Browns managed another touchdown right at the end of the game as tight end Seth DeValve picked up a 24 yard touchdown reception but apart from that, the Steelers defense kept the Browns' offense in check as evidenced by the amount of punts the Browns were forced to make.